Looking forward to Spring and new beginnings. We don't usually get much snow in March. But we got walloped last night & today with 9 inches. 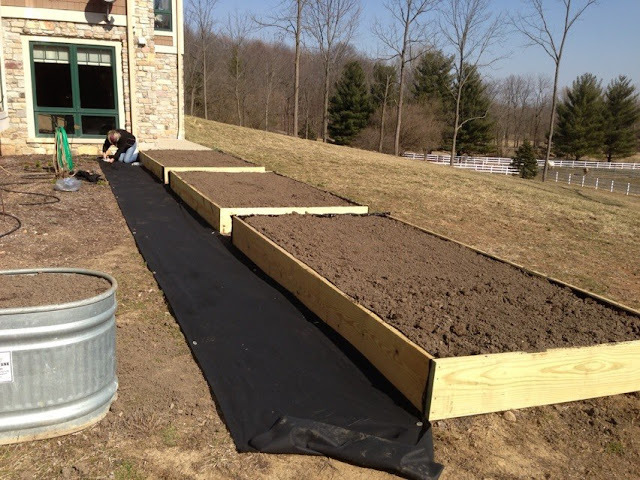 We tore out the old raised garden beds and installed larger deeper ones. Getting ready for planting season. Just next door to the Indiana State Museum is the Eiteljorg Museum. Its a museum of American Indians & Western Art. There was also a temporary exhibit of guitars. This is a harp guitar. There were lots of celebrity owned guitars as well. No mistaking who this one belongs to. Jerry Gracia's guitar in front. There were even some pretty neat guitar cases. All kinds of guitars from tiny Hawaiian ukuleles to cowboy guitars to a Beatles guitar. We visited the Indiana State Museum & it was quite interesting. This sculpture is in the lobby. like this mastodon skeleton recovered in Fort Wayne, Indiana. There are representations of native animals from the past & present. Not all of them good memories. the Empire State Building & the Biltmore Estate. Famous Hoosiers were also noted. Red Skelton, Florence Henderson, Cole Porter & Orville Redenbacher are all Hoosiers? A popular exhibit is the Foucault Pendulum suspended in the spiral stairway. It demonstrates the rotation of the earth. Who knew Indiana could be so interesting? ther are some signs of Spring. The mallards are starting to pair up. so I checked the chip today to find a pleasant surprise - the fox. I'm surprised he's still around since coyotes are rivals and drive them away or worse. We are back home just in time for a late winter storm. Even the local muskrat was out . Boca Grande has a street named Banyon Street. The entire street is lined with stately banyon trees. It is a common site for weddings and photographs. Tampa Bay Rays versus the Boston Red Sox. Hubby finally getting to do something he wants!